The LR5 has a standard, scan and pin mode meaning it can be set up to measure in a way that best suits you and your surroundings. It has 6X magnification, will automatically shut off after 10 seconds (to preserve battery life), there’s an adjustable eye piece (to help focus) and it’ll give up to 5000 scans per battery. Rangefinders aren’t quite as popular today as they were a few years ago. Yes many decent golfers prefer them as there simply isn’t a better way to measure exact yardages to a pin. You’ll find one on every tour players bags in practice rounds, but from our experience lots of everyday golfers now go the gps route. For us we see the benefits of combining both for the ultimate belt and braces distance measuring set up. Zapping flags can be a god send inside 125 yards, especially if you know you’ve got a club and swing to go an exact yardage, trust us it makes for some seriously accurate wedge play. If you’re most likely to use a rangefinder from that distance the LR5 should be right up your street, as its’ price is nowhere near as wallet busting as some. Operation’s a really simple affair with a single button used to switch on and scan and a second button changes the mode which keeps things really straight forward. If you’ve ever used a rangefinder in high winds on a tree lined course before you’ll know how difficult it can be lock onto a flag so we really like how there’s a bit of weight to the LR5. Its shape, size and soft feel outer sat really nicely in our hands. 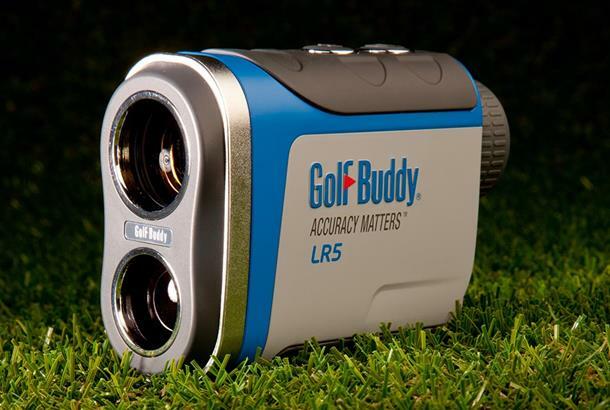 With less golf rangefinders on the market today there’s obviously less choice, but if you don’t feel the need to go for a super-premium model that’s used by the tour pro’s the LR5 is more than capable of doing a sterling job for you.